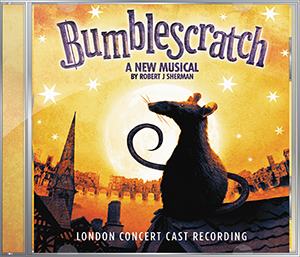 Set in London during the Great Plague of 1665 and the Great Fire of 1666 and told from the perspective of a demented, lascivious plague rat named Melbourne Bumblescratch, who demonstrates his unique and twisted love affair with the ancient city through telling his marvellously gruesome tales. plus comes complete with a 30 page full colour booklet including production photographs and lyrics. "entirely original and has great morals … the orchestrations are detailed and intuitive throughout and serves the content perfectly … Day goes on a real journey across the show … Read and Galkoff showcase pitch-perfect harmonies and are a joy to listen to. What better stocking filler could there be than the newest release from SimG Records?" "There’s something for all the family in this recording, with hummable and memorable choruses. Overall, the variation in tempo and style of musical numbers is excellent, and there’s a vitality in this recording that makes it a pleasure to listen to … musical numbers always drive forward the storyline … and soaring melodies." 8/10 "This is quite a surprising little gem from SimG, although I shouldn’t be surprised as it’s a label that never seem to disappoint … score is enjoyable … the orchestrations are first rate, and also the clarity of the recording … the cast is extremely competent throughout - although with Darren Day, Michael Xavier and Jessica Martin, was there ever any doubt in that. All in all, a great listen and an enjoyable new musical that does the Sherman name justice." "Some of the best loved musicals of all time have come from the Shermans. They are true classics, and I think Robert J. Sherman’s Bumblescratch could be on its way to being just that. Darren Day really takes the title role with both hands, and I can’t imagine a better or more deserving actor … same with Ilan Galkoff, (as Perry) a young and exceptionally talented performer. For a boy of 12, he is an extremely impressive force to be reckoned with ... the pair are completely heartwarming. 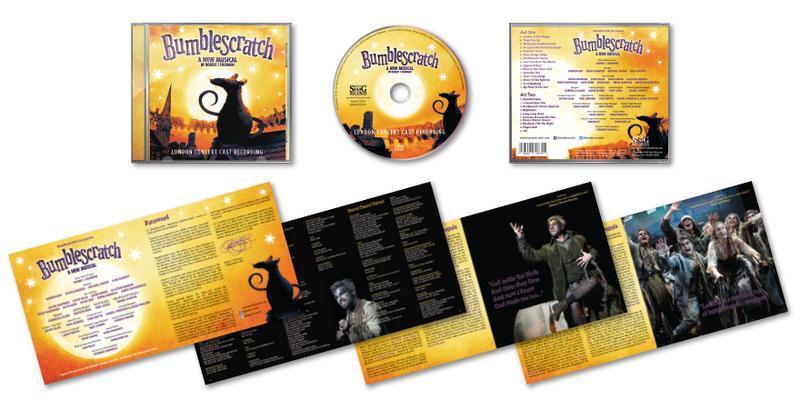 I think Bumblescratch holds its own in a genre of well known and loved musicals, and I am excited to see how it will develop, as I think it could perhaps become a new classic." "Bumblescratch has real potential to become a really joyful family show with its sheer imagination and wonderful variety of characters that will keep children engrossed from beginning to end. Wonderful evening’s entertainment." "At the core of this big, goofy, ambitious show beats a warm heart, with memorable characters and a delightful score ... [Bumblescratch] is full to bursting with novel ideas."